Take a journey through the pages on your own rocket ship! 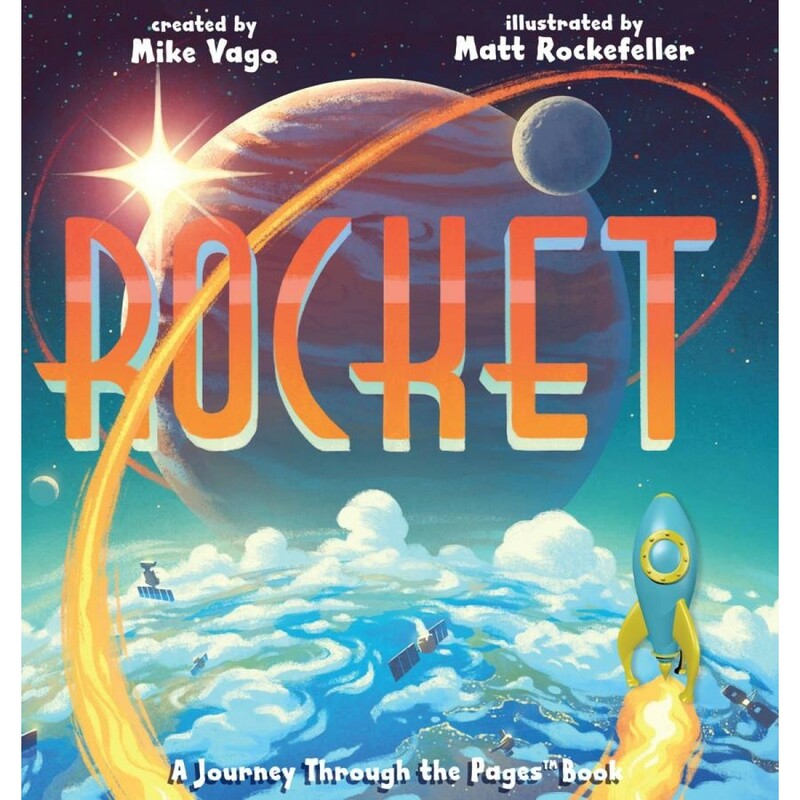 In Rocket, the story of a spacecraft moving through the far reaches of space, the reader gets to pilot a three-dimensional plastic rocket that never leaves the book, moving on an internal track from front to back, up and over the pages. You’ll soar, sail, swoop, and explore, visiting some of the most intriguing sights in our solar system, then the Milky Way, and into far-off galaxies. With lively rhyming language and a feast of stars, planets, comets, moons, and other celestial bodies, it’s an interactive journey of imagination and science. This book is really fun to read- you take a journey through the pages on your own rocket ship! The rhyming language pulls the story along and will be happily repeated when it’s time to start the journey all over again. 3.. 2..1.. Take off!